On Thursday evening there was a public meeting on the Transition Town initiative in the West End. The meeting which took place in Dundee West Church was well attended and the people there were very enthusiastic. I had been asked to speak about credit unions and about alternative models of economic organisation. LETS (Local Exchange Trading Systems) are another way of trading which we discussed. To find out more about the West End Transition Town initiative visit the blog. I hope that this initiative is a success. I think that the Transition Town movement has a great deal to offer us and seems to me to be a good way of dealing with the challenges which face us in terms of the environment. For more on the Transition Town network click here. 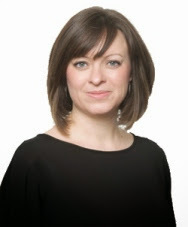 I am a member of the Board of Directors of Dundee Rep. This is a very interesting role and I am always impressed by the excellent range of events and talent which is available at the Rep. 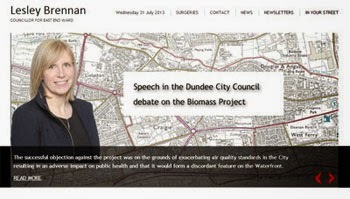 I think that Dundee is lucky to have such a great resource. On Wednesday evening I attended a performance of the latest production Equus. This is a challenging and gripping play which was superbly acted. The theatre has also undergone a bit of a transformation for this show (and also for the next one The Elves and the Shoemaker) and seeing the Rep from a different perspective was also interesting. You can find out more about the play on the Dundee Rep website. I was saddened to hear on Wednesday of the death of former Labour Party leader Michael Foot. 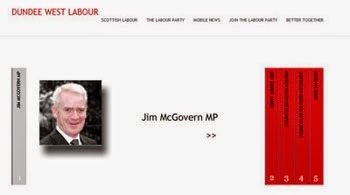 I remember Michael Foot as the leader of the Labour Party when my interest in politics was developing in the early 1980s. He may not have been the greatest of leaders but he was a man of conviction and an inspiring orator. I was always impressed by his lack of interest in the trappings of power and his greater interest in the issues that lay behind the political issues of the day. 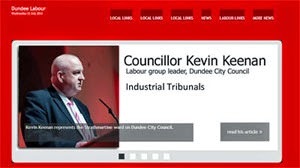 He did have a connection with Dundee, his brother, the splendidly-named Dingle Foot was the Liberal MP for Dundee between 1931 and 1945. 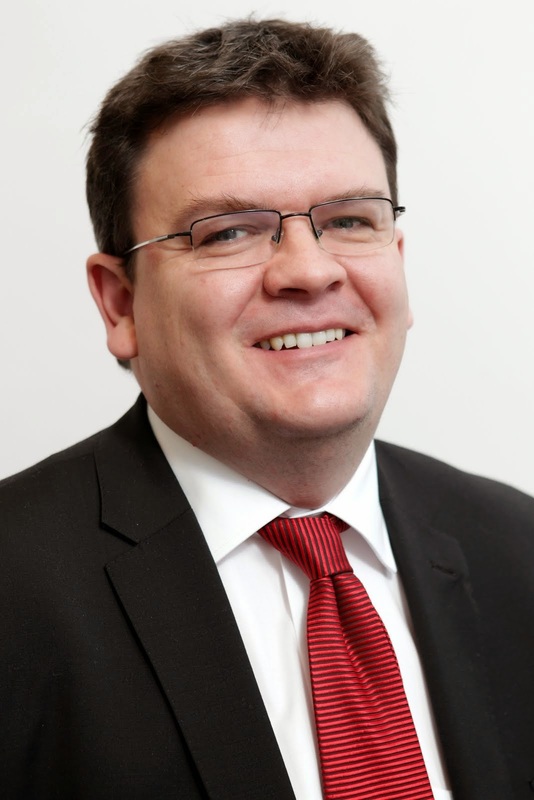 Dingle Foot eventually saw sense and joined the Labour Party and served in Wilson's government in the 1960s. On Tuesday night I attended a meeting of the Logie Residents' Association. There was a discussion about the ongoing kitchen and bathroom refurbishment programme. There was also a very interesting discussion about the plans to set up a Neighbourhood Watch scheme in the Logie estate. I hope that the Neighbourhood watch scheme comes to fruition in the near future. 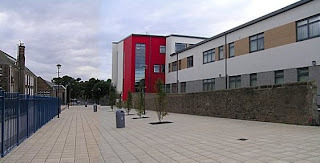 My colleague Councillor Laurie Bidwell has an interesting post on the official opening of the extension at Grove Academy in Broughty Ferry which the First Minister is carrying out today. The story is also covered in this morning's Courier. The Courier's editorial is also very interesting. All of 97 years ago, Broughty Ferry was promised a swimming pool in return for being incorporated into Dundee. it didn't happen. The Ferry was thus an early victim of modern political history in one of its most promiscuous developments: the brazen disowning of broken promises. But that was then. This is now: a new Grove Academy with pool and gym open for public use next month. There are also plans for a community sports hall in the former school premises south of Camperdown Street. This lunchtime I attended a session of the Children and Young People's Consultation Day organised by the Dundee Violence Against Women Partnership. This event highlighted the problems caused by domestic violence. These problems often have a major impact on the lives of young people, it is important that policy makers listen to young people and this is what was interesting about today's event. It is clear that we must all take domestic violence seriously and ensure that there zero tolerance of domestic violence. 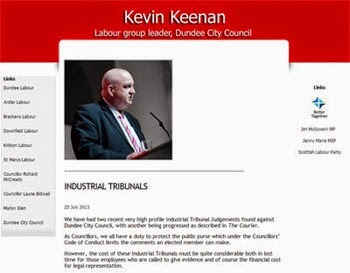 The Dundee Violence Against Women Partnership's website contains some interesting information about this important issue. 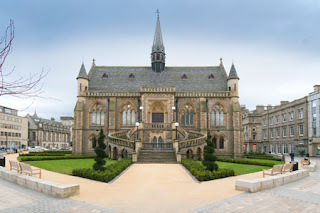 The McManus: Dundee's Art Gallery and Museum has now reopened. The reopening has been a great success so far, with huge numbers visiting. I have visited the refurbished gallery and it is well worth a visit. You can see what is on display and plan your visit by going to the also newly refurbished website. The McManus demonstrates that best in culture can be found in Dundee. To see the best in arts, culture and heritage relevant to Dundee visit the McManus. The best in culture is not only found in Glasgow, Edinburgh or even London but is also here in Dundee. 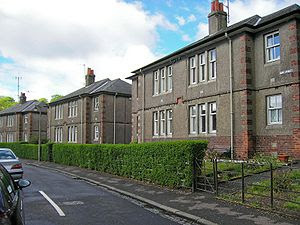 The McManus is part of our national cultural heritage in Scotland and in the UK. I would like to thank everyone who has worked so hard to get the gallery re-opened. I would also urge everyone to take the time to visit the McManus. 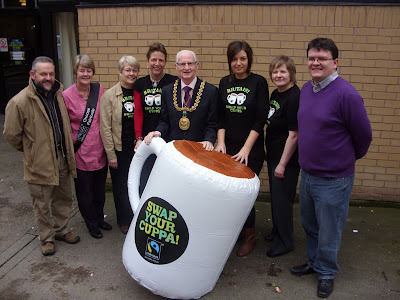 I attended the Strictly Fairtrade Tea Dance on Saturday in the Bonar Hall. I thought that it was a real success. It was great to see the dancing talent of many young people in Dundee which was provided by the Dundee Dance Partnership. I took part in some salsa dancing! There was also an excellent performance by the Scottish Dance Theatre. There was also a group from a walnut growers co-operative in Chile, who spoke about the importance of fairtrade. Hannah Reed from the Fairtrade Foundation also spoke. My colleagues on the Dundee Fairtrade Forum, who did a lot more work than me, deserve credit for making this a very successful day. 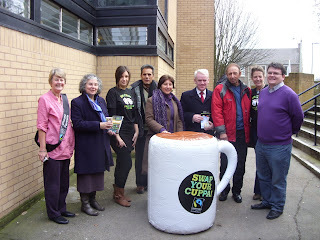 I hope that we made a difference and that a number of people will now be buying fairtrade products. The photographs here show some of those who were at the event including the Lord Provost who opened the event and also my colleagues Jim McGovern MP and Marlyn Glen MSP.